bit.lyプレビューFirefox拡張がSSL通信を阻害？ - Nothing ventured, nothing gained. After installing this add-on, all of my banking sites would show the broken lock with red exclamation in the bottom status bar, indicating that the site was not fully encrypted. Combing through the Page Info showed that all media from every site was indeed https://..., so couldn't see why the sites reported this problem. Finally remembered I had just installed bit.ly preview -- disabled the add-on, and all sites showed correct encryption. IOW, bit.ly preview breaks end-to-end encryption for SSL/HTTPS websites. This needs to be fixed ASAP. I am thinking this is the banking site's problem or a browser issue. 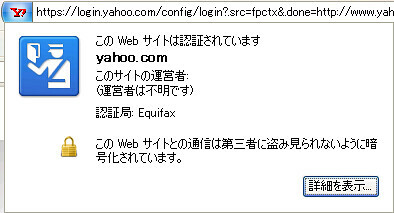 I use several online banking sites, all are fine on my end in Mozilla 3.0.11 which is the latest version of Firefox. Are you perhaps using a version that is a beta version like 3.5 or some other browser entirely? Rex, several people have reported this (https://addons.mozilla.org/en-US/firefox/reviews/display/10297), so it's unlikely to be a problem with a specific banking website or Firefox version. The problem is apparent with a (non-beta) release version of Firefox (v3.0.11). Perhaps wider testing of this issue is warranted? Have you tried using different OSes? Using a proxy server to see if that's an issue?